Note: For the Evolve Grill set to 375°. For the Indoor/Outdoor preheat at setting 4. In a large bowl, combine the chicken, lemon juice, garlic, green onions, soy sauce, ginger and egg white. Shape into 4 patties. Refrigerate for 1 hour. 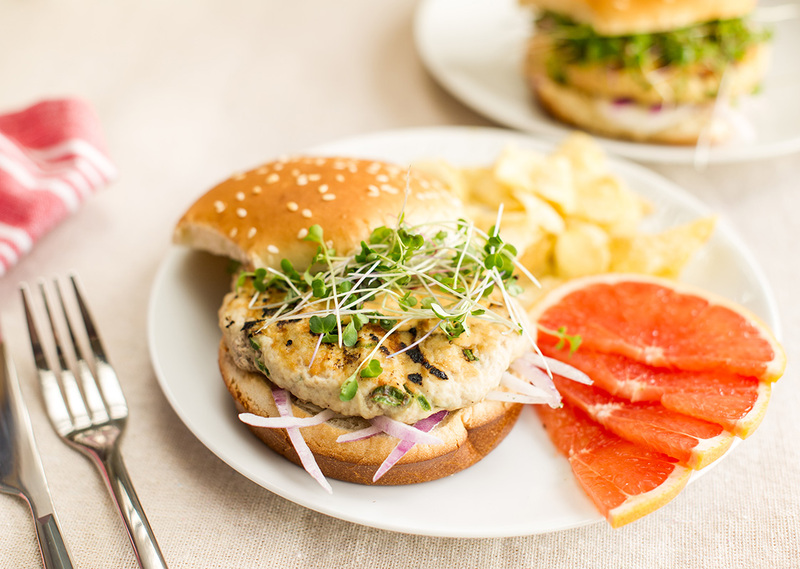 Serve on the sesame seed buns with condiments such as low fat peanut butter, hoisin sauce and bean sprouts.